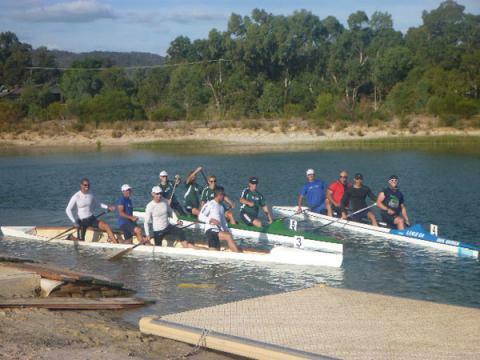 The Frank Harrison race was held on the Murray - on Saturday 23 and Sunday 24 February 2019. Huge turnout of paddlers - more than 130 paddlers, with over 200 entries across the 2 days. FCC Paddlers Perform Well in Summer White Water Races. Each year, the Murray Marathon attracts hundred of paddlers to take the challenge between Christmas and New Year. In 2012, FCC sisters Naomi and Sophie Johnson paddled the half-marathon, winning the 202km handicapped race. Fairfield Canoe Club owns its own clubhouse on private land. With boat storage at the club, fully equipped changerooms, a huge meeting area and direct access to the Yarra River, all your paddling needs are taken care of at the Fairfield Canoe Club.